Taiwan becomes the first nation in the world to introduce the new variant of the Falcon, called F-16V. According to taipeitimes.com, the Republic of China Air Force (ROCAF) has started upgrading its fleet of 144 Lockheed Martin F-16 A/B combat aircraft to the latest F-16 configuration, called "V" as "Viper" . The upgrade of the first batch of four F-16 jets began on January 23 when the aircraft reached a facility in Taichung and will be completed by the end of this year. 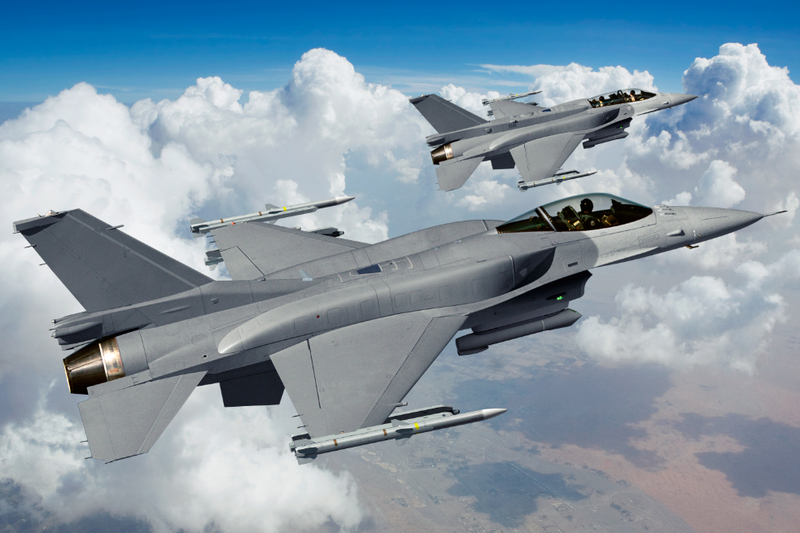 This updated to the F-16V standard is included in the $ 3.47 billion Phoenix Rising project which aims to upgrade the entire F-16A/B fleet. Thanks to the Phoenix Rising, Taiwan becomes the first nation in the world to introduce the advanced F-16V, an aircraft that can be compared to the Chinese stealth fighter Chengdu J-20, according to the National Defense Minister Feng Shih-Kuan. The upgrades will be carried out by the Taiwanese Aerospace Industrial Development Corp. (AIDC) following an agreement signed with the American Lockheed Martin. In 2015 Lockheed Martin completed the upgrade and test flight of a first Taiwanese F-16, stationed at a USAF air base. The Chief of Staff of the Republic of China, Lt. Gen. Fan of Ta-wei, said that the AIDC will upgrade from 25 to 28 F-16s each year and the entire Air Force fleet - including 10 F-16s stationed in the United States - it will be completed by 2023. Enhanced aircraft will boast a series of electronic active fire scanning radar - the most important feature of the upgrade process - capable of detecting invisible aircraft. The F-16V is equipped with a radar system similar to that of fifth generation fighters, advanced avionics, including a new flight management system and a helmet-mounted display system. In addition, the new variant could carry more advanced missiles, such as AIM-9X Sidewinder.